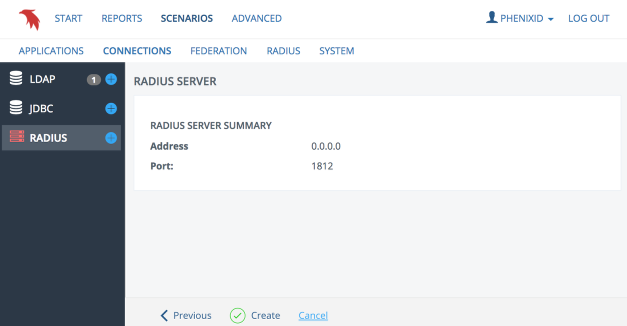 Guide for configuring connections to RADIUS servers. You can configure multiple RADIUS connections and use these from other guides/configurations. Start the guide by clicking on the '+' sign next to the RADIUS menu item. Set the specific address or choose the default value to listen on all addresses. 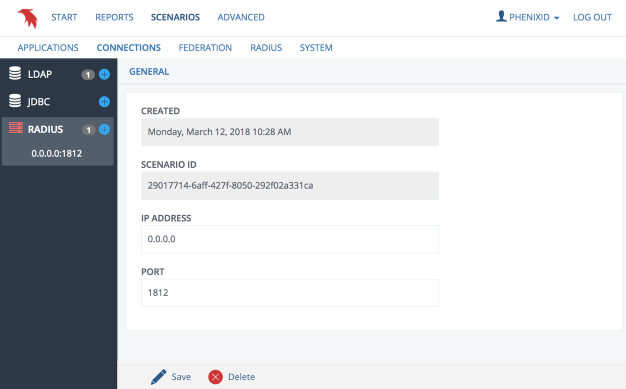 Set the port that the RADIUS server will use for incoming requests. Review the summary and click 'Create'.